At Marchetto Cooper Orthodontics, we don’t just move teeth; we create lifetimes of beautiful healthy smiles! 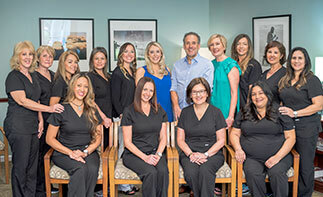 Since 1989, Dr. John J. Marchetto, Dr. Marissa N. Cooper, and our team have served the Weston area by providing personalized, advanced treatment. We reject the “one treatment for all” approach to orthodontics. Instead, we will work closely with you to determine the right time to start care and the best approach for your unique clinical and personal needs. This ensures an exceptional treatment experience and excellent outcome for your smile! We offer a range of leading-edge orthodontic care for all ages, from clear and metal braces to Invisalign® and Invisalign Teen® clear aligners. We also offer TADs (microscrews), early treatment, surgical orthodontics, and growth orthopedics. Our doctors and team members believe everyone deserves a radiantly confident smile, so we strive to make the process easy for you. We have early-morning appointments for students and working professionals, as well as evening hours once a week. Please contact our patient-centered orthodontic office in Weston, FL to schedule a complimentary consultation for yourself or a loved one. We serve Plantation, Pembroke Pines, Davie, and surrounding communities. 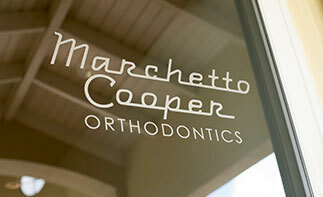 Everyone at Marchetto Cooper Orthodontics is excited to meet you. We can’t wait to start you on the journey to a life-changing smile! Call and schedule your consultation today!